A finish and an addition to the stash this week. First up the finish: Bulls Eye. 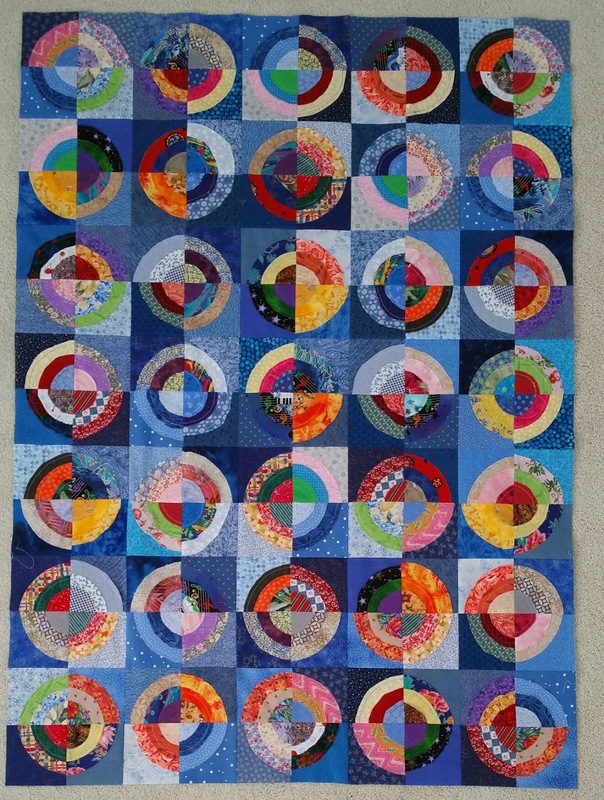 This will be added to the Quilting Que. Next up the adds for the is week. A trip to Beverly's yielded the perfect fabrics below for the baseball quilt I will be making for a new nephew. The wood grain fabric on the top was perfect for the bats in the quilt. 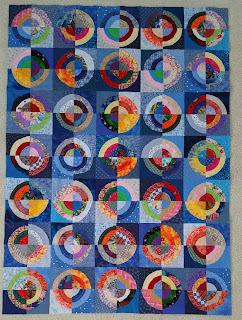 This will be the next project up this month after I finish Prairie Gathering, which is my UFO for April. Below are updated numbers. 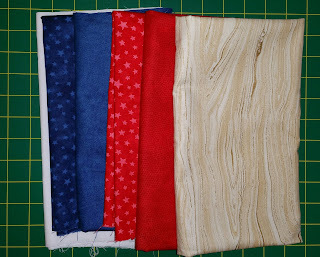 I can only claim the backing and binding for the Bulls Eye quilt, as these blocks were won from Sunshine Quilt Guild. Used this week: 4 yards. 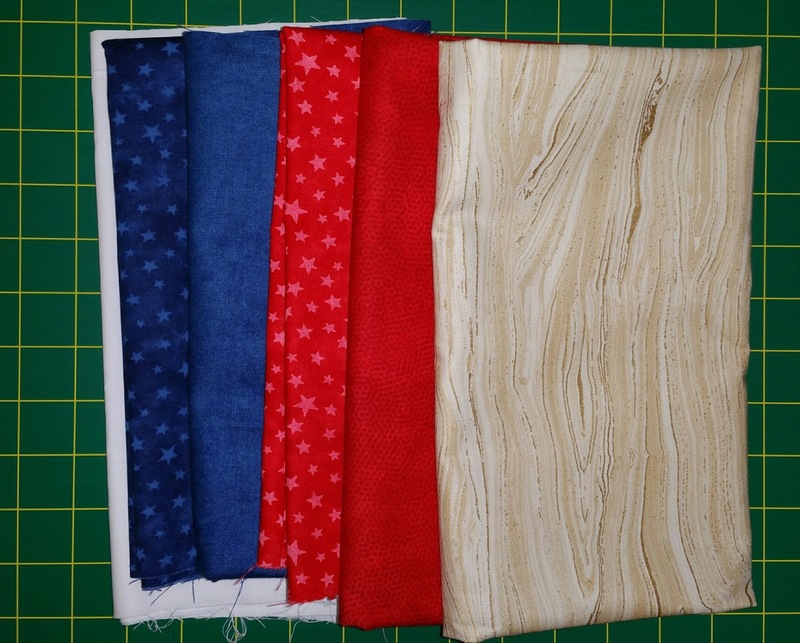 Purchased this week: 4.5 yards. Net Fabric Used YTD: 35.0 yards. Have a great week all. See more reports at Patchwork Times.